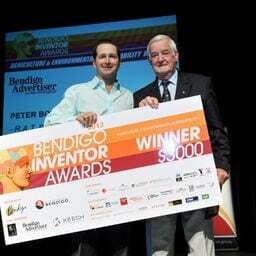 Congratulations to Peter and the RAT Barrow for winning the 2013 Bendigo Invention award for Agriculture and Environmental Sustainability. Rat Barrow is a newly released Australian invention designed to improve material handling around the home and small farm. R A T stands for Ride on, Articulated, Tipping Barrow. Its patent applied design is a world first giving the user a safe and stable ride with incredible maneuverability, with loads up to 200kg.